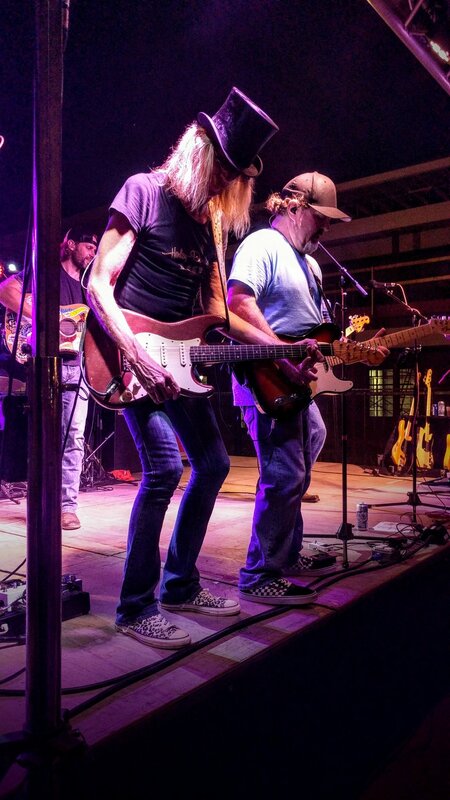 The Joe Stamm Band (JSB) is a high energy country/rock group rooted in the black dirt of the American Midwest. Born & raised in the fields and fence rows of Central Illinois, Joe and the band play a soul pumping brand of country rock uniquely their own. JSB released an EP, “Feel Like Me”, in August of 2016 & follow-up single "Crow Creek" in June, 2017. Their next single, "American Freeborn Kids" is set to release November 30th, 2017. JSB's music is laced with rural American imagery, hard-driving guitar, and songwriting that invites listeners into a deeply personal, authentic life experience. Joe’s early life revolved primarily around football, earning a scholarship to play quarterback at Northern Illinois University. Injuries, however, cut a once promising career short and sent him searching - searching for a new identity, new hobbies, new pursuits and points of focus. He poured himself into academics, hunting, his childhood faith, partying & burning candles at both ends. Gradually, music and songwriting dominated Joe’s focus and stories began to emerge – not just his but yours, ours. Over time, a community of musicians & fans took notice. A band formed & audiences started filling venues.